Changing your email address for the weekly Ask Leo! newsletter is easy. It all starts with a click on a link in the last newsletter you&apos;ve received. I’m changing my email address. How do I change my newsletter subscription to go to my new address? There are two approaches: you can unsubscribe at your old address, and subscribe at your new, or you can simply change your subscription address directly. Let me show you how to do that last one. 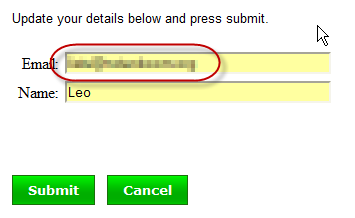 To change your email address, click the highlighted link. Click on the edit contact information link. Enter your new email address into the Email field and press Submit. 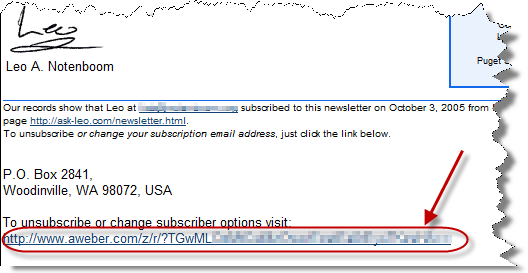 « Previous post: How do I unsubscribe from your newsletter?